Hes the best Doctor I could ever pick for my kids, he's more then just a doctor he's family.my kids love you doctor lollipop. 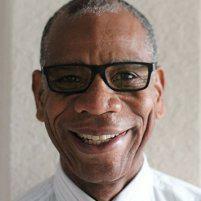 Dr. Jean Baptiste is a one of a kind doctor. He cares for his patients and asks relevant questions about the life of the patient and parent/guardian. The staff is also a wonderful group of people who don't mind assisting patient or parent/guardian. I would recommend this office to anyone looking for a good quality doctor office. The service was fast and excellent! I didnt have an appointment but my son was sick and when i called they told me to bring him right in. My experience over the Dr office always great, that the best Dr office ever. Great staff very polite and nice the doctor and everyone there really cares about their patients. We have been coming here for 10 years now and he is the best. He is one of the best peds in whole county! Always have a great experience when I go to the office. Dr Jean -Baptiste loves and care for his patients. I remember when my daughter was younger,she used to get sick a lot to the point where the Dr called me after business hours just to check how my daughter was doing. That is a great Dr who will do everything possible for the wellbeing of his patients.